We're all suckers for good deals. It doesn't matter who you are, what your income level, if you have ten kids or none... a good deal makes your heart beat faster, your eyes widen and your mouth curve into a slight grin. Or, if you're me, you jump up and down while squealing, "Eeeeeeeeee," clapping your hands and laughing. Yes. All at the same time. So, why not take advantage of places where good deals abound? Where treasures await by the dollar? I know thrift stores have a certain dirty-smelly-used stigma, but... and I say this in the kindest and gentlest of ways... get over it. If you've followed this blog for any length of time you know some of the amazing deals I have found. My house, my family and I are all better dressed because of it. But today I want to focus on HOW you shop thrift for CLOTHES. I hear all the time, "Well, I went, but I didn't find anything." "I just don't want to search through those racks." "I wouldn't even know where to start or what to look for." I have many more tips on shopping thrift for furniture, and just in general. But, since this is FASHION Tip Friday, we're going to focus on the apparel side of the "previously loved" industry. You can do this. YOU can do this. YOU CAN DO THIS!!! And, in today's economy, you really SHOULD be doing this. ~Check around. Listen for where others are scoring their finds. Some stores are better for clothing, others for furniture and household items. This just may require some ground work, which means you getting out there and visiting the stores themselves. *gasp* Pretty soon you'll have a good feel for each place. ~Find out what sales stores have. (Yes, thrift stores have sales. It's a beautiful thing.) When is their 50% off day? Do they discount things after a certain time in the evening? (Goodwill 50% off days are marked in red on my calendar.) When do they change which color tagged items are a dollar? Know and go. Know and go, baby. ~Have a designated Thrift Outfit that you can try clothes on over. Many thrift stores don't have dressing rooms, but they also may not have a suitable return policy. We're in to saving money here, so there's no sense in spending $3.00 for those jeans if you're not sure they're going to work. Wear something you can try clothes on over. My outfit of choice includes leggings under an elastic waistband skirt, that way I can try on pants without feeling like I'm flashing the world. Wear shoes that are easy to slip on and off. Also, wear a very fitted tank top under a zip-up hoodie. You can try on any shirt over the tank without dealing with bulk, but won't feel too revealing because you have the hoodie to wear while you're shopping! Also, if you want to try a dress on, just slip the skirt off as you're pulling the dress down/up. Remember, you'll still have on the tank top and leggings. This way you won't come home with things that don't fit! And you can feel excited about them as you're paying, instead of unsure. 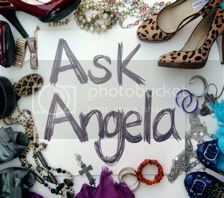 ~Don't wear jewelry that comes off easily or that can snag on clothing as you're trying it on. ~Carry hand sanitizer and lotion in your purse. ~And a little bag of hard candy. (Okay, that's a tip for all the time, not just thrift shopping.) It can preoccupy the kids, silence another mother's whining child (she'll think you sweet and brilliant), or bring a little taste of joy to your shopping. ~If you have to leave at a certain time to pick up the kids or make that meeting, set the alarm on your cell phone so you're not constantly checking the clock. Set it for twenty minutes earlier than you need to leave so you can make your final decisions and check out. ~Get a cart at the door so you can pile things in. If there's no cart available, see if they have a stroller for sale and use that. No, you can't feel guilty about not buying it in the end. Someone will be grateful it's still there later in the day. It's as if you saved it just for them. ~Be systematic about shopping the racks. What do you need most? Start there, then work your way down. ~It's okay to skip the row of button down dress shirts if you don't wear them. Don't feel guilty. Move on. ~I've found it most productive to, as I'm standing looking at the rack, move from left to right. Stores tend to hang things with the labels facing left, so it's easier to eye them as you go. ~When your cart starts getting pretty darn full and you can't navigate aisles easily, move to the closest mirror and try everything on. Discard the "no's" and put the "yes's" and "maybe's" back into the cart. If there's something you're wavering on, hang on to it and try it on again in the second round. You might see it differently, or a friend might show up and help you make the decision. ~Don't skip the glass cases! I know there's a lot of junk crammed in there, but often there's good costume jewelry or a designer handbag stuffed in the back. Don't be afraid to ask to see the stuff out of the case! That's what the workers are there for. My friend found a $100 handbag, never used, with the receipt still inside. To think she almost didn't ask to see it out of the case... oh, the travesty it would have been. ~Feel the fabric as your going through items, instead of just moving the hanger. You don't have to linger, but sometimes just touching it can alert you to quality material you might have missed otherwise. One of my good finds was an Ella Moss black top that was folded OVER the hanger (not hanging on it) so I missed the label. I almost passed it by in the myriad of black shirts, but my fingers touched the material and I instantly knew it was quality. When I pulled it out and saw the label I was thrilled! ~Notice I've said a few times to keep your eyes on the labels. That's because you need to keep your eyes on the labels! ~Be willing to pay a little more for something you KNOW you're going to wear and love. Yes, we're all for cheap and deals and whatnot. And I'd rather go on 50% off day and pay $3.00 for those crisp, white pants than $6.00. But $6.00 for $80.00 pants is incredible, and if you'll wear them, pay the six bucks! The worst thing is to leave something behind that you SHOULD have bought, then the next time your at the grocery store thinking, "That jar of pickles is the same price as those pants! Why didn't I just get them?" ~Take your girlfriends with you! What fun to make a morning of shopping Goodwill, then hit a laid back place for lunch and dish about your great finds. It's therapeutic. Also, they can help you try stuff on and give a thumbs up or down when you're wavering. ~There are GREAT clothes for EVERY size and shape, from 2 to 24. (Wednesday I saw a double zero AND a 3XL that were BOTH cute and fashionable.) Don't you tell me they don't have anything for you. They DO! Now you have some ideas and a game plan. No more excuses! Let me know what you find! Dish on your deals! What other tips have you found when shopping for clothes at thrift stores? And, let me know how these work for you next time you go! My favorite thrift store find was a new Liz Claiborne sweater I LOVED IT!!! Paid extra for it but got an entire basket with my winter wardrobe for $60! Did you mention that some thrift stores are cash only. I am ready to go shopping again. Truth: The last thrift store I went in reeked of smoke. I couldn't handle it. That was probably last May. Do you hold your own nose when you go through the racks?? In all honesty, though- have you queried a magazine yet? I love your fashion tips- you should be submitting articles, girl! You and I were meant to be!!! Ella Moss, a fav. My current obsession is Literature Noir, do you think I could find that at a thrift store? If so, I'm there! all of your tips...pure genius. Love love love the thrift store I do! I can't tell you how many times someone will mention that they are looking for xyz... and I can say oh, I just saw that at "whichever" thrift store I just visited or I will watch for, and usually find, that item. Did I mention I love thrift stores? Your post had so many great strategies! I have learned not to buy "the item" because of the label alone but I will say I am more well dressed than I would be without thrifting. Another blogger mentioned asking about discounts. Only when an item is damaged (slightly) or a bit less than perfect in condition do I ask for a discount... however I may try in the future. :) Thanks for your great post!